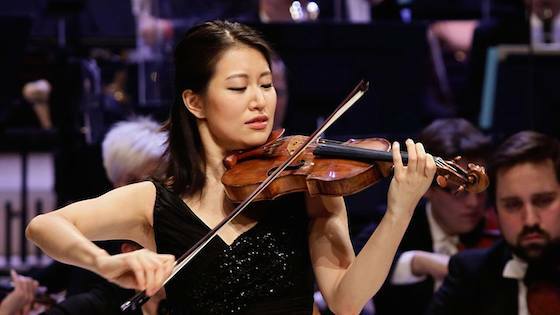 December 4, 2015, 1:30 PM · Congratulations to American violinist Christel Lee, who won first place in the 11th International Jean Sibelius Violin Competition, held Nov. 22 to Dec. 3 in Helsinki. Lee, 25, was born in Bloomington, Ind. of South Korean parentage and grew up in Canada. She studied at the Münich School of Music and Theatre, at the Kronberg Academy with Ana Chumachenco, and at the Juilliard School with Naoko Tanaka and Kyung Wha Chung. View her Sibelius competition performances here. First prize: (25,000 €): Christel Lee, U.S.
Jury members were Pierre Amoyal, Serguei Azizian, Sigrún Edvaldsdóttir, Pekka Kauppinen, Sung-Ju Lee, Cho-Liang Lin, Gerhard Schulz and Krzysztof Wegrzyn. The Sibelius competition is open to violinists younger than 30 and has been held every five years since 1965.